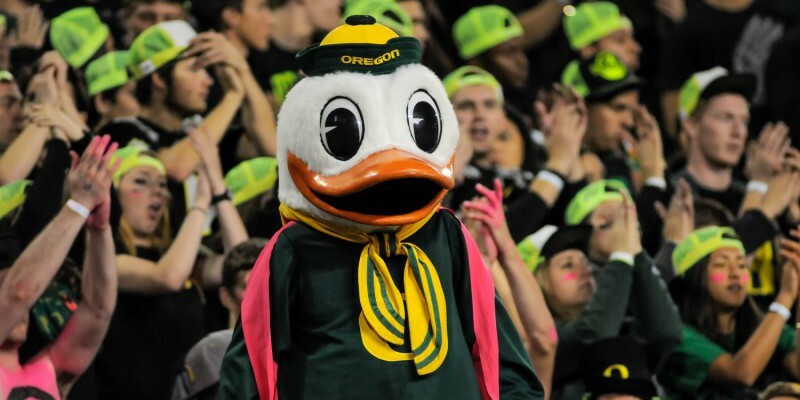 With about two weeks left until the national letter of intent day (NLI) or signing day on February 4th, who is not looking at the prospects and trying to figure out how to get key commitments to Oregon from players and juggle the limited official visits? Due to sanctions, Oregon lost one scholarship in each of two years (limiting the Ducks to 84 of the normal 85 at Division I level) — on top of punishment that the school had previously self-imposed. The 84 scholarships limit ends after this academic year. Also, the number of official visits was slashed to a mere 37 from the normal 56. An official visit is where the university pays for travel, food and lodging for the prospect and his parents up to a 48 hour period to visit the campus and meet with coaches, players and academic advisors. I’m hoping for some recruiting miracle right now heading down the final stretch. There are lists of those prospects who have scheduled their official visits to Eugene and those who have interest in Oregon and may set a date for official visits. It is crazy right now, and nobody can imagine what the football staff is organizing at this time. With help from Duck Territory at 247sports.com, I’ve been able to stay current with scheduled visits and who may get one of the few coveted official visits remaining. After the seemingly careless official visit allowed for Josh Sweat who committed to Florida State a few hours later, Oregon has roughly six official visits left out of its original 37. Five is the number of official visits that are currently scheduled (subject to change) in a two-week span beginning the 23rd of this month. Much of the focus of athletes that are targeted for the final six visits is aimed at linebackers, linemen and cornerbacks. 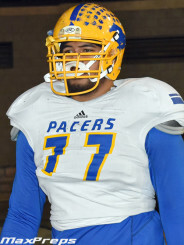 Offensive guard Darrin Paulo from California is scheduled to visit January 23. He’s a beast who weighs over 320 pounds and pancakes anything in his way. Defensive end Jake Pickard from New Jersey was slated to visit, but recently had a change of plans. January 30th is a big day for Oregon and its visitors. The list of visitors could change at any given moment. Two currently on the list are committed to other programs and may not have genuine interest in flipping their commitments. Nebraska commit Daishon Neal may be the closest to flipping, due to coaching changes. The two cornerbacks are probably the least interested in Oregon and not likely to leave Southern California. Ykili Ross has recently committed to USC and Iman Marshall doesn’t have the Ducks high on his list. 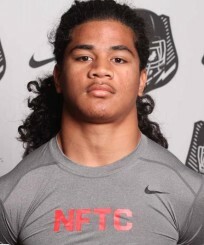 The fourth visitor is a rising star, Fotu Leiato, a linebacker from Washington. His highlight reel shows a tenacious speedster who needs some fine tuning to reduce errors. I couldn’t stop watching him run for touchdowns and hitting people to their backsides. Since the end of the dead period of recruiting, the coaching staff members have visited many potential Ducks all over the country. The most notable players are again, linebackers. Three of the stars are currently committed: cornerback Justin Martin (Tennessee), stellar linebacker Josh Smith (Vanderbilt), and Joshua McMillon (Alabama) who recently received a visit from head coach, Mark Helfrich. The other linebackers are Christian Folau (UT), Bryce Sterk (WA) and the Oregon commit, junior college transfer, Paris Bostick. 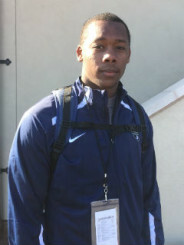 The remaining studs who would like a shot at an official visit include Prince Tega Wanogho, a defensive end from Africa playing his first year of football in Alabama and Tyrone Wheatley, Jr. who appears to have snubbed his father’s alma mater, Michigan, to show interest in the West. With so many questions to be answered in the next two weeks, there are a few certainties that will affect Oregon and its future. Of course, the Heisman Trophy winning quarterback, Marcus Mariota, will be in the NFL next year, along with stud defensive end Arik Amstead, both of whom declared early for the draft. Also, defensive backs Dominique Harrison and Stephen Amoako and wide receiver Chance Allen have announced their intent to transfer from Oregon. Duck Territory’s Justin Hopkins has hinted that there may be one or two more current players who will transfer. With those “unexpected” departures, Oregon was still able to flip Ugo Amadi from LSU. Amadi has signed his letter of intent already without taking a visit. Amadi is a cornerback who Oregon hopes will replace Ifo Ekpre-Olomu. Why not? It seems natural to transition from Ifo to Ugo. Amadi initially seemed like a shock value commit because of his prior de-commit from Mississippi to LSU, then his de-commit from LSU, but he became a firm Oregon commit with his signature. Paris Bostick is another who committed to Oregon without taking an official visit. Hopefully the Oregon staff can keep his commitment and save that official visit for someone who may need the whole tour and show to convince them to choose the Ducks. As the time winds down for signing the future starters for the Oregon Ducks football team, the coaches may still hold an official visit spot for one special player, Kyler Murray, who chose Texas A&M over the Ducks months ago. Apparently there is still communication with him and that slight chance that he flips is the talk of many Duck fans. I find it doubtful with QB Kenny Hill transferring from the Aggies. A&M will be in need of depth at that position, too. Coach Helfrich is trying to cram as many bodies into his limited number of official visits as possible and hoping for a miracle. Oregon prefers to provide an official visit prior to commitment, but Helfrich may have to make an exception this year and potentially next year when the final year of limited official visits end. Ultimately, this should still be a solid class of recruiting.